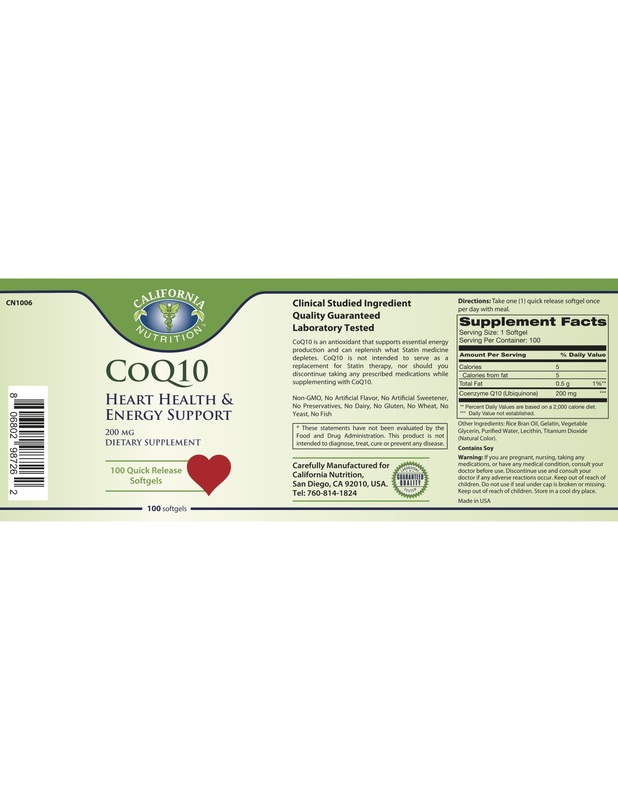 CoQ10 supports heart function and cellular energy production. It is important for people taking cholesterol-lowering statin drugs. Coenzyme Q10 (CoQ10) is a fat-soluble compound found in most human cells that is needed to assist in a number of important reactions in the body. CoQ10 plays an important role in cellular energy production, generating energy in the cell’s powerhouses called mitochondria. Statin Users: Statin drugs can reduce CoQ10 levels in the body. 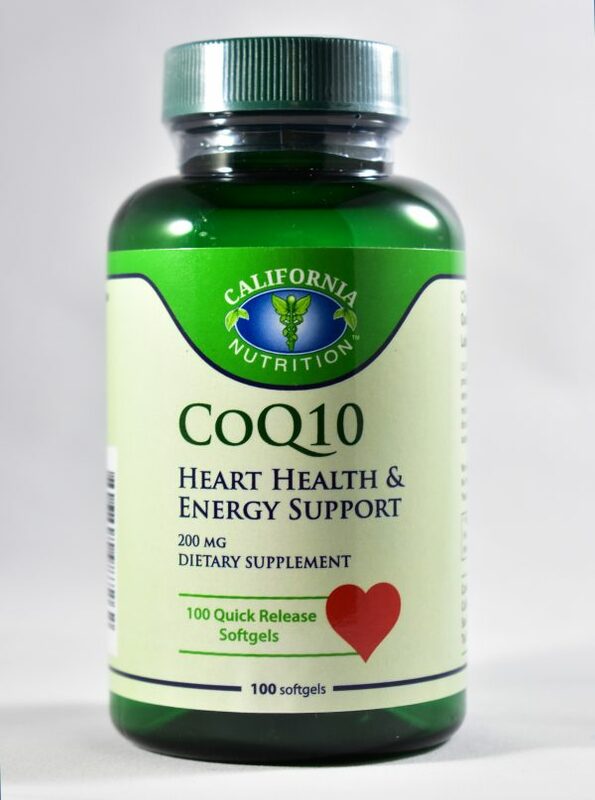 California Nutrition CoQ10 can help replenish this important nutrient. California Nutrition CoQ10 200 mg helps support healthy CoQ10 levels in the body, and is naturally orange inside with white shell. Is California Nutrition’s Coenzyme Q10 natural or synthetic? Answer: California Nutrition’s Coenzyme Q10 is produced by fermentation, which is a natural process.